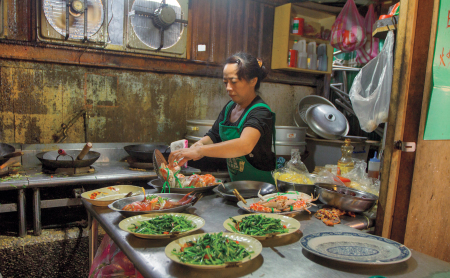 Join Cathy Erway & friends for the exciting launch party & events for THE FOOD OF TAIWAN–the new Taiwanese cookbook (and first from a major U.S. publisher!) releasing March 24th! *UPDATE* “The Taiwanese Table: Cuisine & Identity” panel is now SOLD OUT! For folks who couldn’t make it, WNYC (NPR affiliate) will air the show live at this site (embedded video will appear day of). 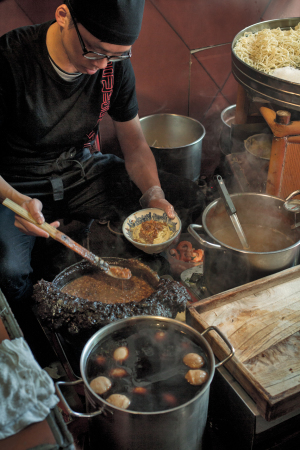 Tuesday, March 24th @ 7 pm – THE TAIWANESE TABLE: CUISINE & IDENTITY – All-star Taiwanese food panel with Cathy Erway (The Food of Taiwan); James Beard Award-winning sommelier Belinda Chang; Brian Tsao, Executive Chef at Mira Sushi & Izikaya; Ken Ho, co-owner and Chef of the innovative Taiwanese-Mexican eatery Lucky Luna; and Matt Gross, “The Frugal Traveler” columnist for the New York Times and former editor of BonAppetit.com. After the panel, Cathy Erway will do a cooking demo of the Taiwanese oyster omelet. 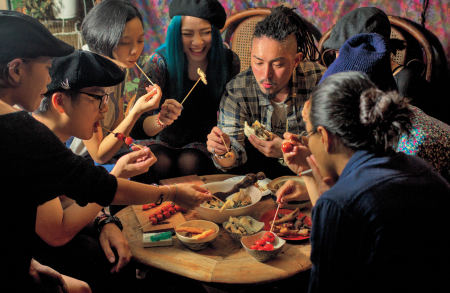 Guests will also enjoy authentic treats prepared by local Taiwanese restaurateurs. 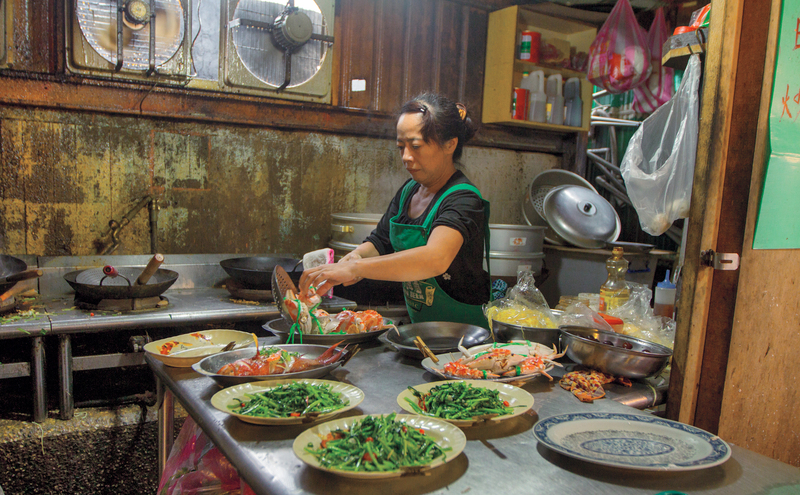 There will also be food prepared by local Taiwanese restauranteurs including Chef Tsao, Bian Dang & Lucky Luna! 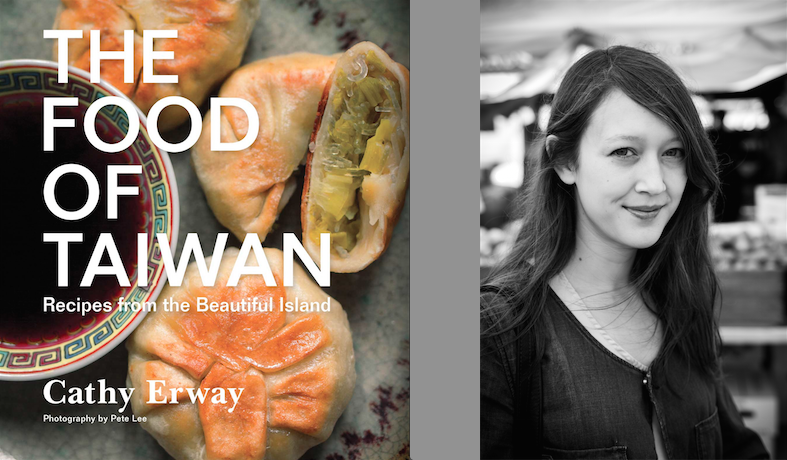 Wednesday, March 25th @ 7 pm – THE FOOD OF TAIWAN BOOK RELEASE PARTY – Celebrate the release of The Food of Taiwan with Cathy Erway, Joy Y. Wang (Food writer, former producer at “All Things Considered” & writer of the Foreword to The Food of Taiwan! 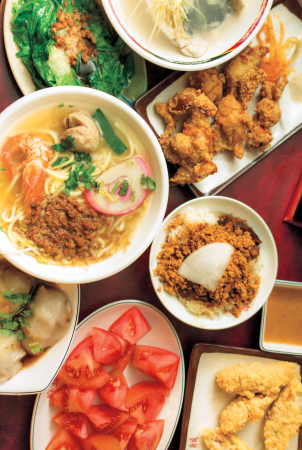 ), local reps from TaiwaneseAmerican.org and TAP-NY–and anyone and everyone who loves Taiwanese food!! Short reading and Q&A on Taiwanese food and copies of the book will be available to be purchased from local bookshop Book Court. Limited Taiwanese snacks available (first come, first served! ), but plenty of drinks & food available to be purchased on site. 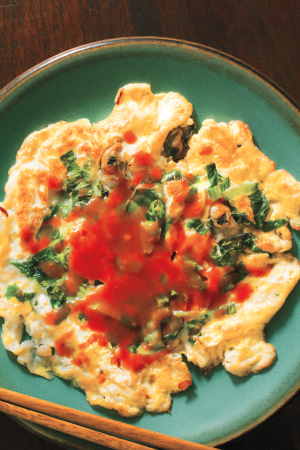 Support Youth Programs with Purchase of Taiwanese Homestyle Cookbook Jen Che Delights Readers With Her Tiny Urban Kitchen Flipping Out: An Irreverent Photo Essay on Making the Taiwanese Oyster Omelette A Lucky Milestone! Follow Us on Facebook!